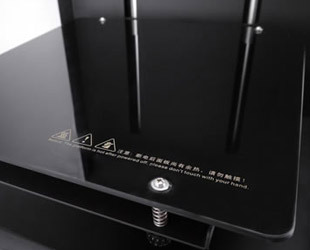 The CreatBot DE Plus is a large volume dual extruder 3D printer. 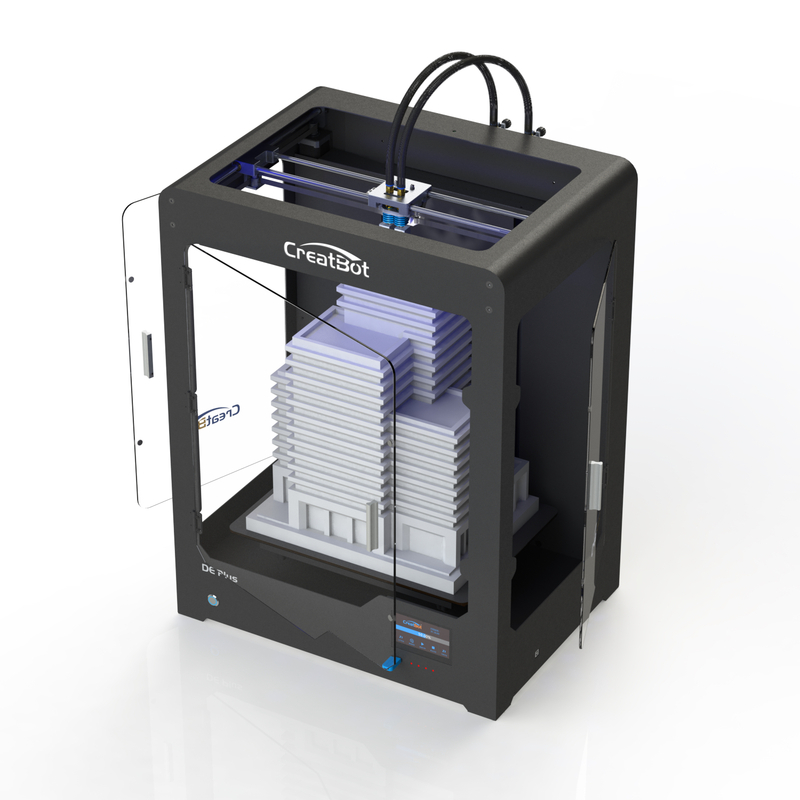 You can manufacture complex parts with materials like ABS, PP or PC with this 3D printer. It has an enclosed building chamber of 400 x 300 x 520 mm and a Bowden style extruder. 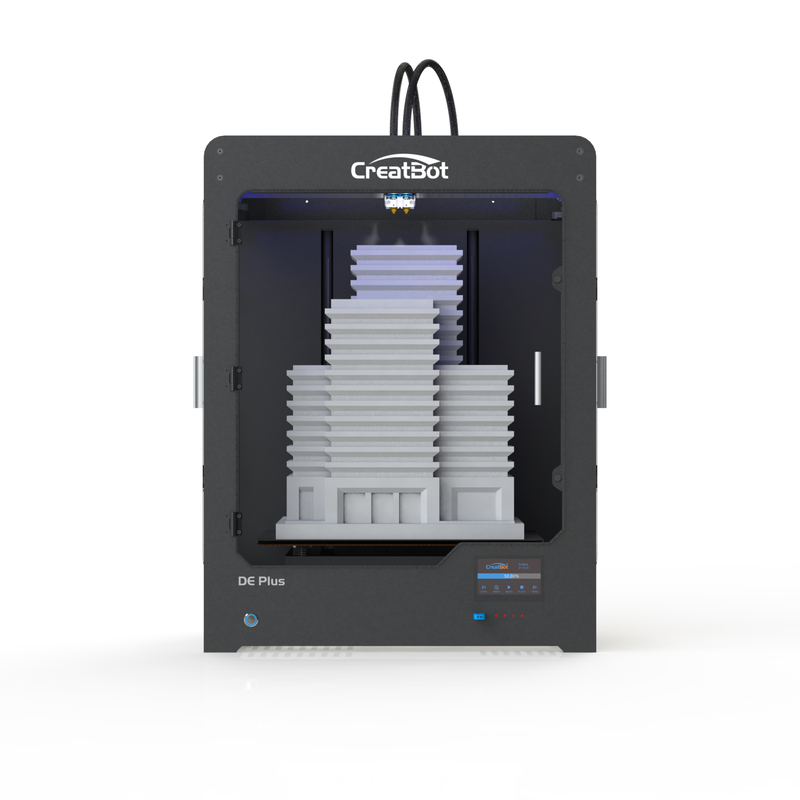 CreatBot DE Plus is a solid constructed 3D printer with dual print heads, an enclosed building chamber with see through walls, a heated glass print bed and a Bowden style extruder. 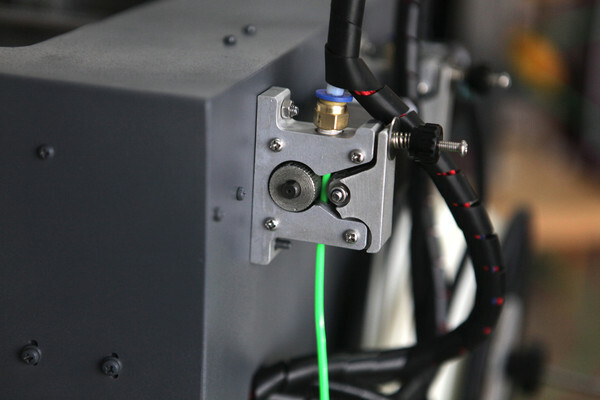 The extruder has the stepper motors positioned at the back of the machine which results in a light weight 3D print head assembly enabling high speed 3D printing. 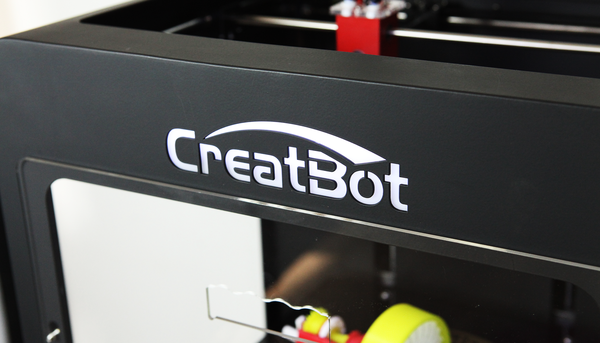 The CreatBot DE additive manufactures with PLA and ABS as well as other filaments including soluble HIPS and PVA. A great machine for engineering and education, stacking up multiple objects for production work, large architectural models, sculpture, jigs and fixtures. 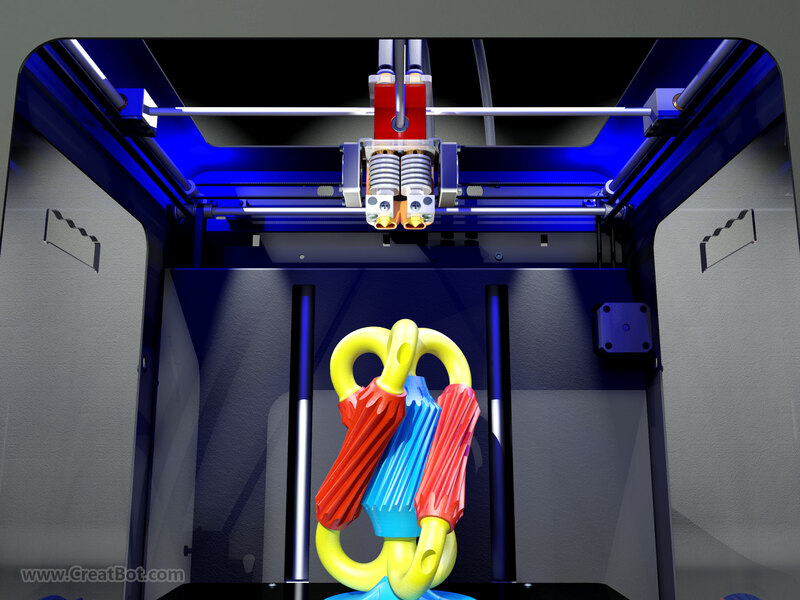 A 3D printer needs a firm weight to insure stable operation. Therefore, all metal chassis are the best way to go when it comes to 3D printing. 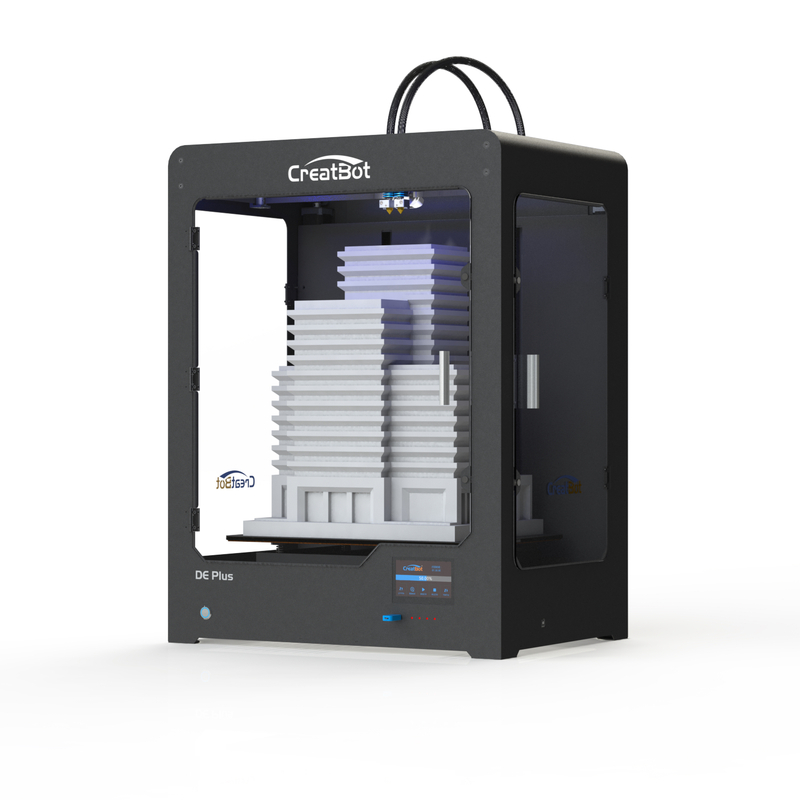 CreatBot DE Plus extruders include an intelligent cooling system. 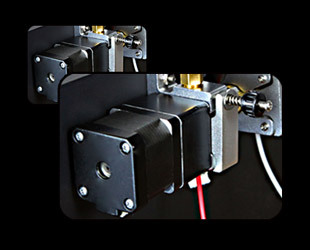 This ensures that the filament is feeding at the optimal temperature all the time. The height adjustable nozzles allow you to align your two nozzles very quick and easy. Perfect when you want to 3D print with support, varied materials or just two colors. All CreatBots from 3D Prima come with dual extruders as standard. Your CreatBot DE Plus is equipped with a power management module. 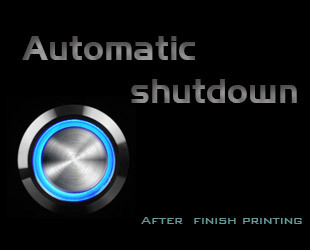 When the 3D print is finished and there is no action taken within 5 minutes this 3D printer will shut down. Very useful and very energy efficient. CreatBot DE Plus has a multi-function keyboard. 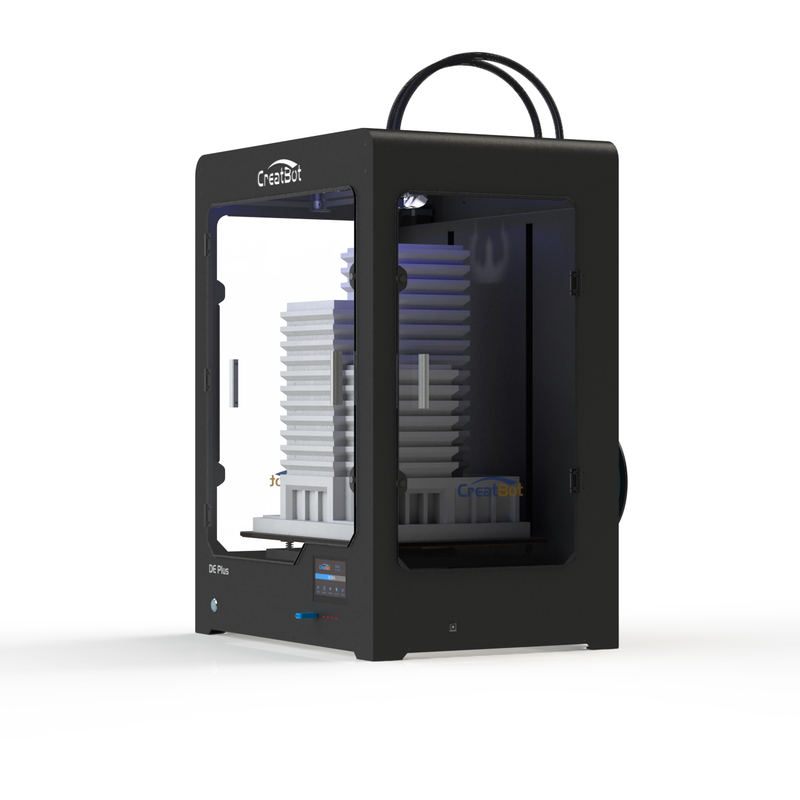 This makes for very easy handling and direct access to many of the most used functions, including Z shaft up/down, heating/cooling of hot bed, pause, resume 3D print, browse the SD card and more. A gear motor can produce more torque compared to the general stepper motor, this ensures that there is a smooth feeding of the filament always and that retraction is perfect. An all metal hot bed tray makes for a very stable 3D print platform which in turn improves stability. The DE+ impresses with its massive build volume of 400 x 300 x 520 mm. That size is more than enough for most makers. 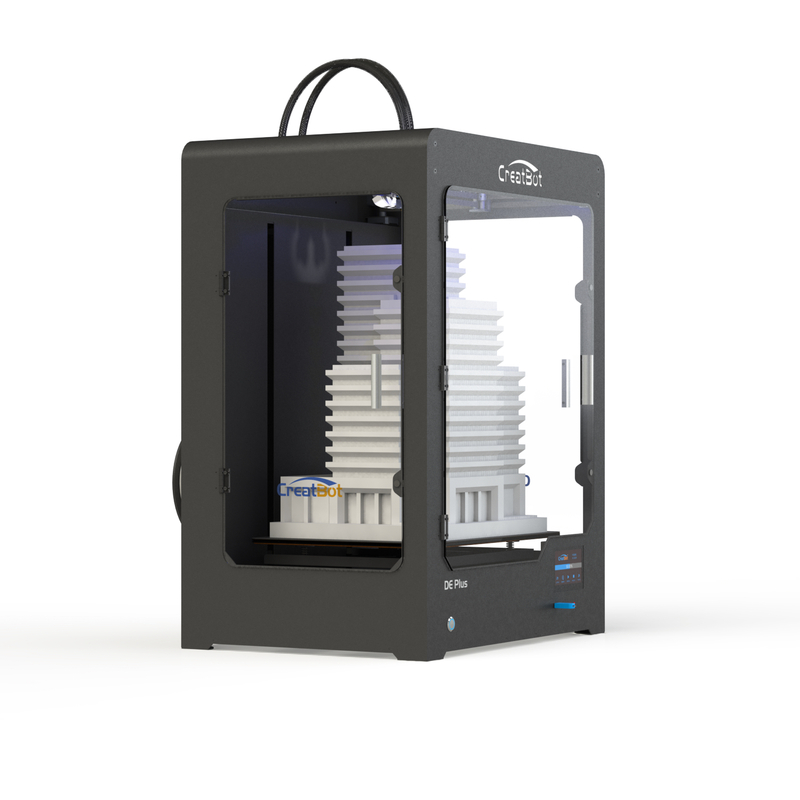 This means that you can additive manufacture your creations in 52 cm height and with a resolution of 0.04 mm. If you should run out of filament during a 3D print, don't worry. The 3D printer will go into pause mode and let you change the filament - then you just hit resume, easy! The nozzles can operate in temperatures up to 400 ° C. This means that you can use a wide range of different filaments. It also provides you with a very stable temperature during production. 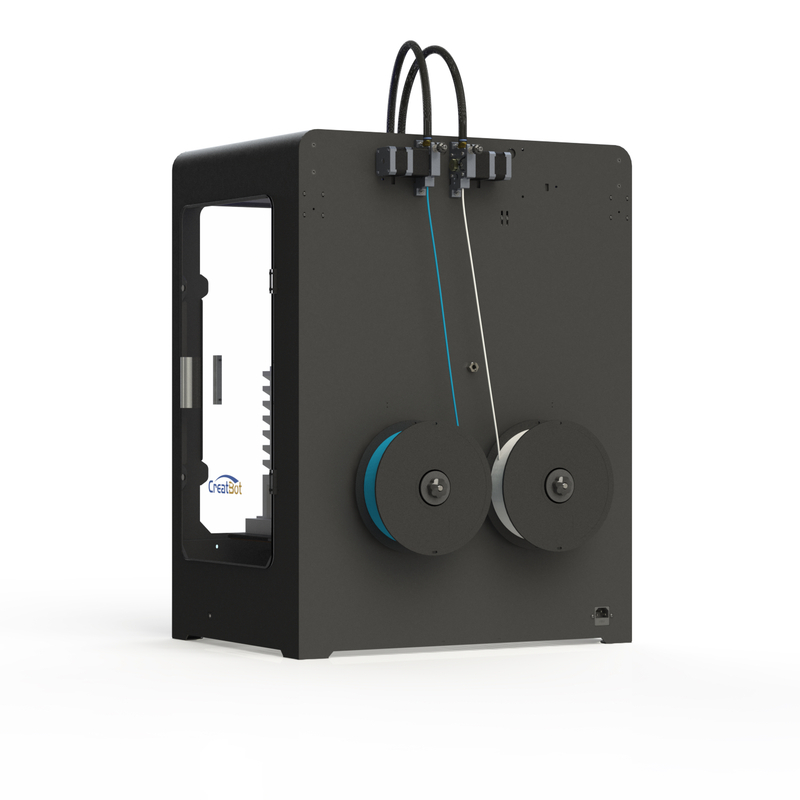 If you should have an unexpected power loss the CreatBot DE Plus remembers the last known position, stores it, lowers and retracts the filament. When the power comes back on you can continue to 3D print. On the CreatBot DE Plus you have a totally enclosed build space which prevents large 3D prints from being cracked or warped. 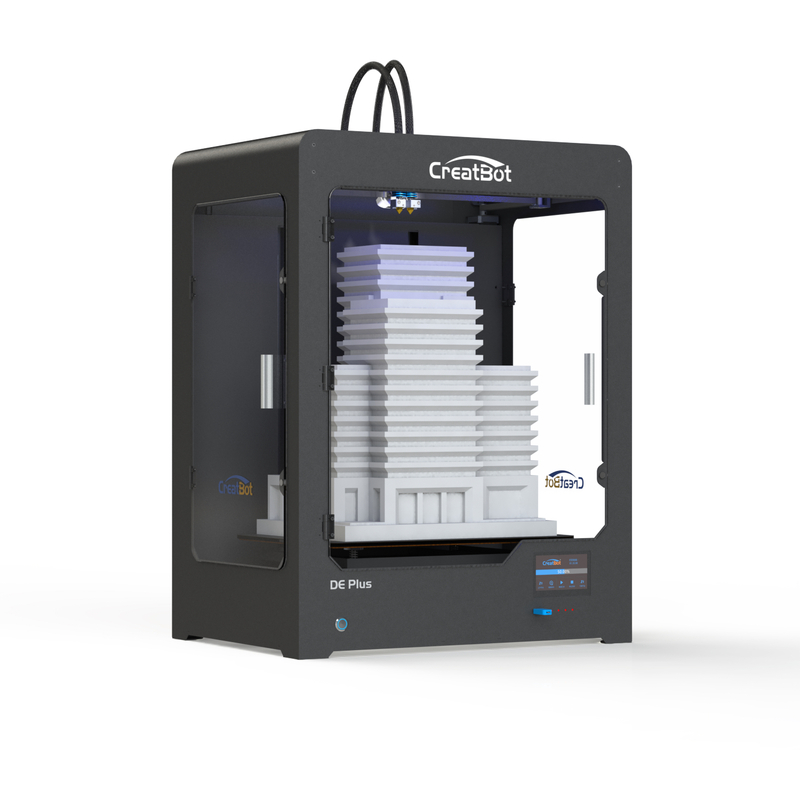 If you want a large volume dual extruder 3D printer with a bowden setup buy the CreatBot DE Plus.